This beautiful statement is the title of Amy Julia Becker’s new book on the birth of her daughter Penny who has Down syndrome and her journey to understanding and acceptance of the gift of Penny. days of grief, sadness and feeling so different than my peers have passed. As have the frequent doctors appointments, the endless research and the health scares. These days were followed by the quiet peace of acceptance and acknowledgment that our daughter joined us for a reason. Our daughter, Alex, has helped us become the people we wanted to be, but did not know how. Amy Julia brings this life back to me - the reader. 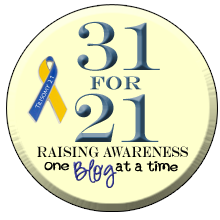 It is overwhelming to have a child with special needs join a family, and it does make one feel temporarily out of place in the world. Through Amy Julia's stunning prose we share her journey and that of her family and friends. She helps us remember babies are babies first, and anything else is secondary. I loved reliving this part of our journey, as we will always grow and learn from our remarkable daughter, just as Amy Julia and her family have grown with Penny. 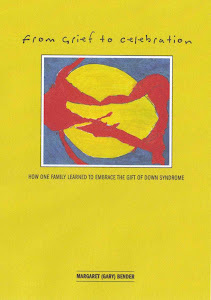 This book is a must read for all families, young or old, children with special needs or not. It is a loving and lovely account of a family, a perfect family and a reminder to all of us of love and acceptance. Amy Julia also writes a blog, called Thin Places; Faith, Family and Disability. Please read her beautiful prose, she is an example to all of us.